When you think about getting older, what comes to mind? Becoming weak and frail? Forgetful and confused? Grumpy and depressed? There are a lot of stereotypes that are associated with getting older. Many people are scared of aging because they feel that these stereotypes are unavoidable, and that old age will be unpleasant. However, many of these stereotypes are misconceptions that aren't totally based on facts. Old age can actually be a lot of fun if you ignore the stereotypes and just focus on making the most out of your life. Here are 5 misconceptions about aging, and the truths behind the stereotypes. Many older adults feel that it may be too late to change their habits and start living healthy. They may feel that since they didn’t start eating healthy or exercising at a younger age, it’s too late to start. This is a misconception, because anyone can benefit from healthy lifestyle habits regardless of age. It’s never too late to start practicing healthy habits. As a matter of fact, there’s no better time to start getting healthy than in older age. Many older adults neglect exercise and eat poorly, which is one reason why they start becoming weaker and more unhealthy. Things like getting regular physical activity and practicing proper nutrition are actually a lot easier than they sound, and the benefits that they provide are tremendous. By adding these healthy habits to their routines, older adults will be able to get stronger and more active, thus helping them live longer and healthier lives. It’s a common misconception that all older adults will eventually develop dementia or Alzheimer’s at some point. These conditions are somewhat common, but they’re not an inevitable part of aging. The truth is that 1 in 11 Canadians over age 65 live with dementia, with the rate increasing to 1 in 3 Canadians over 85. The good news is that much of the risk of developing dementia and Alzheimer’s comes from preventable unhealthy lifestyle habits, rather than genes. While many people assume that it’s mostly a genetic risk, most Alzheimer’s disease doesn’t run in families. Less than 5% of cases of Alzheimer’s are familial. Serious risk factors for Alzheimer’s include high blood pressure and high cholesterol, obesity, diabetes, and smoking. By adopting a healthy diet, a regular exercise routine, and avoiding cigarettes, this can go a long way towards the prevention of Alzheimer’s and dementia. It’s a misconception that all older adults develop weak bones and muscles and become frail as a result. While it’s true that muscle loss is common, it’s also avoidable. Sarcopenia, the progressive loss of skeletal muscle mass, affects 30% of individuals over age 60 and 50% of individuals over age 80. The people at the highest risk of developing sarcopenia are those who are physically inactive and don’t get enough protein, so regular exercise and adequate protein intake are imperative. It’s also true that many older adults develop weak bones, but again, this can be avoided. Many people don’t know that bones are living tissue and that they can be strengthened with exercise, just like muscles. Even people with osteoporosis can benefit from doing exercises that strengthen their bones. Regular strength and muscle training can help ensure that older adults retain their functional independence by building strong muscles and bones. The majority of older adults are retired, with the average retirement age in developed countries being 65 for men and 63.5 for women. However, just because they’re no longer working, that doesn’t mean they don’t contribute to society. 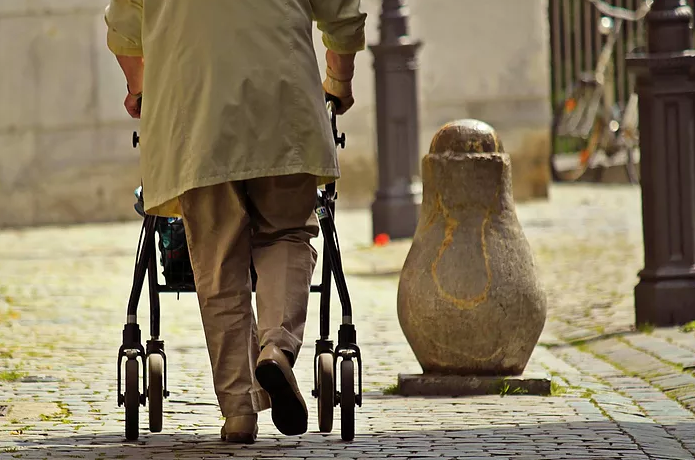 In 2011, contributions made by older adults in the UK through taxation, consumer spending, and other activities were worth £40 billion more than the amount that was spent on them through welfare, pensions, and healthcare combined. It’s also very common for seniors to be active volunteers and contribute to their communities. In 2010, the volunteer rate for Canadians was 40% between the ages of 65 to 74, and 31% for those older than 75. Additionally, Canadians over the age of 75 on average made the largest annual charity donations when compared with other age groups. This shows that just because most seniors are retired, that doesn’t mean they can’t contribute to society in meaningful ways. One stereotype of older adults is that they’re all grumpy, depressed, or sad. While depression is somewhat common among older adults, the prevalence may actually be much lower than you might expect. According to the Canadian Psychological Association, 15% of seniors report experiencing significant levels of depressive symptoms, but only 3-5% of seniors experience major depression. Studies have shown that happiness levels actually increase after retirement, with one UK study concluding that people aged 65 to 79 are actually the happiest age group. The explanation for this offered by the study was that this age group didn’t have to care for children or elderly parents anymore, and that after retiring they didn’t have to worry about balancing work and family. These factors lead to a decrease in stress levels, leaving older adults happier and more content, rather than grumpy and depressed. Just because you may be getting older, it doesn’t mean you’ll become grumpy, weak, and confused like all the stereotypes imply. Misconceptions about aging may be common, but they can be proven wrong with healthy lifestyle habits and determination. Healthy habits strengthen both the body and mind and help avoid muscle loss, bone weakness, and cognitive decline. Staying healthy for longer will help you retain functional independence, continue to contribute to society, and enjoy the happiness that post-retirement years can bring. By working hard to develop a healthy lifestyle and a strong support system of family and friends, getting older can actually be a lot of fun.